IT'S CRUNCH TIME IN THE HARDWARE GAME. The corporates keep coming and we, as independents, face our biggest challenges ever. But while our competitors, old and new, are clever and resourceful, Home Timber & Hardware has the formular to suceed. We know the way to beat this competition and we already have plans in place to help meet the challenges we all face. 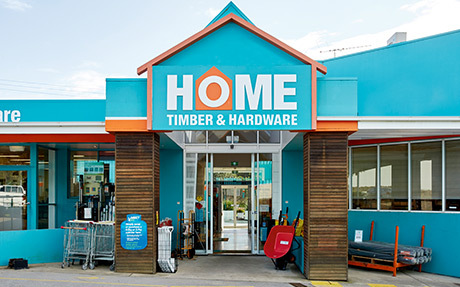 Home Timber & Hardware has a passionate and unwavering commitment to the independent hardware sector and we are the only true independent hardware retail network in Australia. If you'd like to chat about joining forces with Home Timber & Hardware, call us and we'll set up a time.